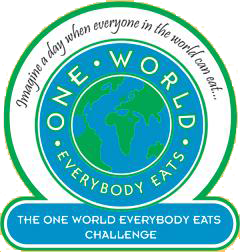 I was the media manager for a non profit in Salt Lake called One World Everybody Eats from 2005 to 2010. OWEE is a successful pay-what-you-can community kitchen that prepared gourmet vegetarian, meat and vegan main courses, appetizers, soups, salads & desserts. As a board member, one of the perks was that I got to eat free, which I seldom did. None of us did very often. The kitchen relied on volunteers and plainly speaking, some volunteers were simply better than others. I understand a volunteer is gift. But the work they do is directly linked to the passion with which they do it. And a volunteer with a bad attitude, a hidden agenda or an ego complex in tow is not a gift. Sometimes, we had to work with volunteers for awhile to really see where they were. Sometimes, weak starters finished strong. Sometimes, the consistent were consistent throughout. Sometimes, a volunteer who couldn’t or wouldn’t do A did B like a champion. But the biggest disappointment were those who make the biggest promises in the beginning but failed by choice. Suprisingly, this is something research bore out with volunteers and customers. Jude Higgins is an anthropologist for the University of Utah. She was smitten by our PWYC model. So much so, she investigated the social engineering behind how these type of kitchens work. It led to a research project that found among other findings, that the people who tended to do the most talking about how they resonated with the concept were most likely to be the ones who tried to game the system somehow. Their rationale: “Because I am so much like you, you should give me a pass to enjoy benefits not reserved for me.” In both cases, those customers and those volunteers thought that because they had known the founder since the start, that they were on her level and therefore knew what she knew, had the same scars she had, the same sleepless nights, the same legal responsibilities, the same fears, the same to-the-bitter-end commitment, the same deep in-your-bones passion. Specifically, some customers would go through the line, pile their plates with food and pay nothing. Meanwhile, some volunteers conflated their good work on project X as an entitlement to behave poorly when we did or did not give them project Y. In other cases, when we called them on their behavior, they were indignant. “How dare you question me” is a summary of what we often heard both from big eaters and volunteers who felt we were too stupid to truly appreciate their commitment or capabilities. After awhile, we started to get the feeling that these people were never troubled by the condemnation of others since evidence of their poor performance was probably something they had long since learned to live with. The volunteers without the egos were the ones who went on to start their own kitchens, manage their own volunteers and otherwise, shine. We followed their progress with joy and pride. 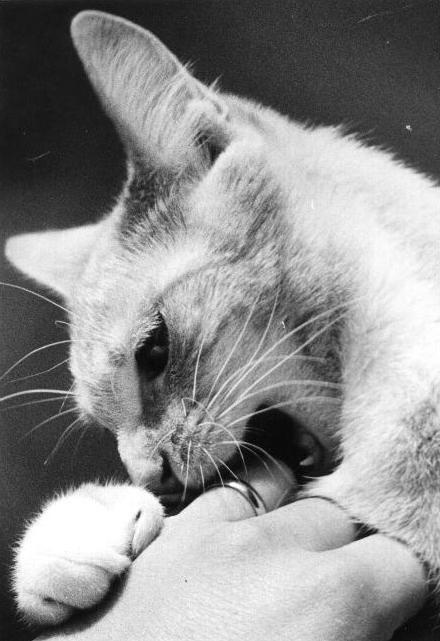 The ones with the egos left us convincing themselves that they were smarter than we would ever be and we would always be assholes. We didn’t keep up on their progress. 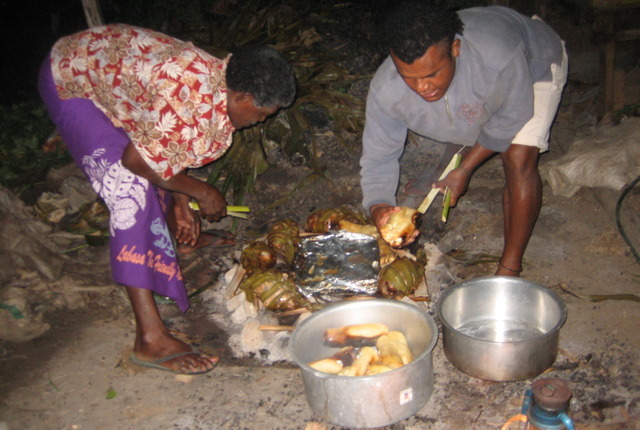 One World Everybody Eats continues to thrive and it continues to rely on volunteers. What we started in Salt Lake 10 years ago has grown to nearly 100 community kitchens all over the country. I think there are even a few internationally. In September 2004, we received our 501c3 and we were off. I ocassionaly get an email from Denise Ceretta (the founder) telling me they miss me and it makes me feel wonderful that my work helped One World get to where it is. We had some amazing times, like when Rush Limbaugh apologized for insulting us and we subsequently sent him a box of our Everything Cookie. But that’s another story. I learned a lot about leadership at One World by learning a lot about volunteers. It’s 1:30 a.m. and I am just finishing up an edit of my interview with Herbie Hancock. For the entire conversation, Mr. Hancock talked about music and kindness couched in Buddhism and Humanism (he’s a Buddhist and a Humanist) and the need for music to bring people together. Now, I’ve listened to Herbie Hancock my entire life. From Monster to Dis is da Drum; everything before and in-between. And there is nothing he’s done that I haven’t enjoyed. Today, I got the chance to ask him every question I could think of about who he is, not necessarily what he does. I mean, I’m not versed in the language of music. I don’t understand synthesizers or beats. But I know how his music makes me feel and I know how hard living is sometimes. And I wanted to know how much of what I feel does he feel? How much of what he feels does he wonder if other people feel? It turns out, quite a lot on both counts. And when the conversation was over, I realized I had talked to him for 63 minutes when my time slot was for 15. He ignored the clock and kept talking. He said he was glad to get the chance to express some of the things he was thinking about the world and the way he sees his place in it. And when I hung up, all I could say was “Wow”! OK, so I am looking for music to edit into the interview and I go to his most recent work, “The Imagine Project”. It seems to be a reinterpretation of John Lennon’s “Imagine”, only with guest voices Pink (who I love), Seal (who I love) and a bunch of other amazing musicians like Jeff Beck, India Arie and Oumou Sangare. 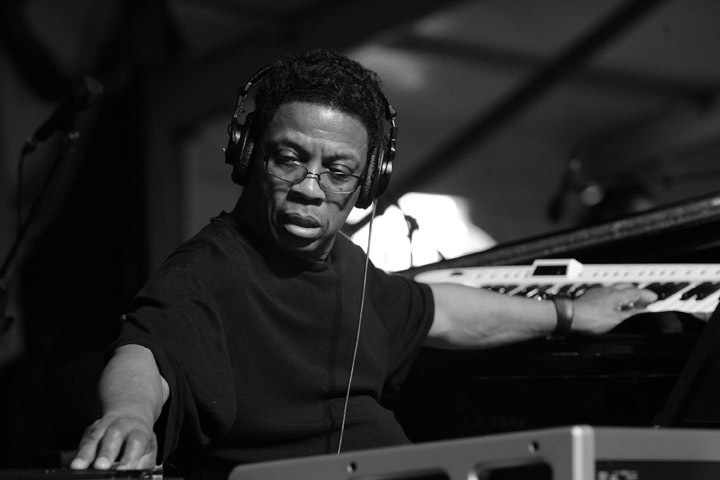 And at the center of it all, there is Herbie Hancock, the man who just gave me an hour of his time to ask him the most personal questions I could think of, wearing headphones and jamming behind a studio piano. And I’m thinking, how can I thank this man for the gift he’s given me? And I realize the answer is to produce the best interview I can, but not just his. I always thought my goal was to produce good interviews, but sometimes, good sounds like mediocre. I always knew I wouldn’t try to produce perfect interviews since that is a goal that would surely kill me. I’m hard enough on me as it is. But watching him, at 74, a virtuoso, doing what he so deeply loves and doing it with a mind that has probably forgotten more than many people will ever know, I see that my goal should always be to shoot for making excellent interviews. Because he’s all about excellence and deep down, I love things excellently done too. I can’t talk to Herbie Hancock for an hour and not come away thinking I can certainly work to do what I do better. He reminded me that it’s OK to love what I do. I just need to make sure I do it well and that it helps bring people together. Hear my interview with Herbie Hancock here. See the video for The Imagine Project here. Sometimes, I don’t understand how I get a particular interview. It’s not that I don’t consider myself a good interviewer. I am. And it’s not that I don’t work very hard to uphold standards of journalistic integrity. I do. But there is also a lot of alchemy involved in who decides to talk to you or not. For instance, I know that many people I talk to don’t necessarily need to talk to me. I work at a small community radio station that has a reputation amoung some as being too far to the left and amoung others as not being to the left far enough. To that, I bring years of experience with the government and the military; not exactly the most liberal institutions ideologically. Politically, I kinda sorta end up somewhere around the center. I said all that to say the gun behind me is respectable but not huge. It’s not like we’re the Nation Station with numbers that dominate market share in the MSA or anything. But some of the people who’ve returned my calls and agreed to talk to me are amazing. Which leads me to the alchemy part. Namely, you don’t know who is talking about you to whom. 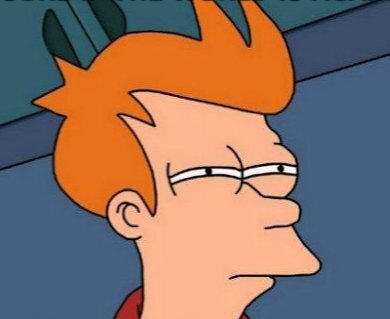 So, when somebody calls me back who seemed like a real long shot, I sometimes think, “OK, is this a vote of confidence that was cast for me by someone I’ll never discover, even if I might personally know them”? And that is some humbling stuff. As a reporter and a journalist, you want to have a decent name. You want to be seen as fair. What with so many people attacking us for bias at home, while overseas, journalists are attacked much more severely for so much less, you want to hold up the profession as best you can. I sincerely appreciate the callbacks I get and when they are truly amazing, after those first few seconds of surprise, I try to remember to close my mouth so I can get to work. Sometimes, you never know who is working for … or against you. It’s probably for the best. Sometimes, reporters want wheat. For example, they might want to see where something comes from; the raw version – the data – before other people have had the chance to put their interpretation on it. Other times, reporters want bread, meaning they want to hear the interpretation and compare it against the raw information. When a reporter asks for bread and gets wheat, it’s useless. And when a reporter asks for wheat and gets bread, again, it’s useless. 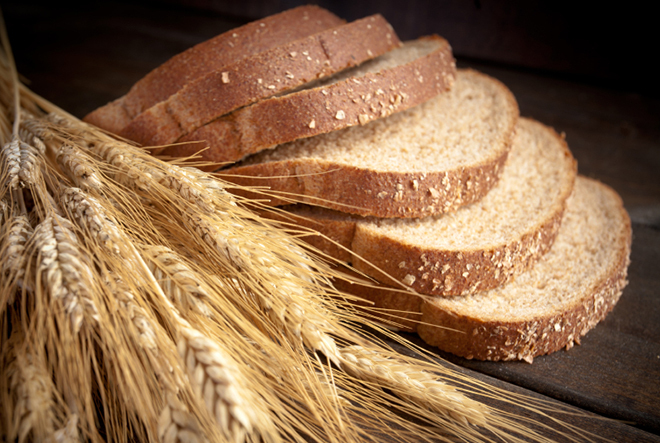 Another bread versus wheat example is when a radio reporter in particular asks a source for information via the medium of audio and they get text. If they specifically ask for an audio interview and get text, it’s not really helping. Why? Because one of the things that makes reporting credible is being able to attribute comments to a source. Yes, text can be quoted, but it’s a layer removed from the source. Sources know this, which is why sometimes, some of them refuse to respond with their voice to a question for comment. Or, during an interview, they will ask a reporter to turn off their recorder but allow written notes. As a reporter, this has always struck me as a little cheesy, like the source is saying, “OK, you can have proof, but not very good proof”. If a source promises something and they don’t deliver, and then rationalizes it later, it can be frustrating. But it certainly tells you something about that source. Kudos to Dave Miller, host of Oregon Public Broadcasting’s “Think Outloud” for the voicing fears and suspicions of KOPB staff. Mr. Miller was interviewing the new NPR President, Jarl Mohn. Mr. Mohn had spent much of the conversation talking about the importance of fundraising for the future of NPR, mentioning that the mammoth Ray Kroc (founder of McDonalds) endowment to NPR of a quarter billion dollars in the early 2000s may necessarily be considered “small” in the face of NPR’s future financial needs and fundraising asks. At one point, Mr. Mohn said he looks forward to “helping” NPR affiliates with their fundraising, to which Mr. Miller, God Bless Him, said that he knows a lot of dedicated people doing fundraising at public radio stations around the country who are already working hard to fundraise, and how do they know that Mr. Mohn’s offer to “help” isn’t just an excuse for NPR HQ to skim more money off the operating budgets of already struggling stations? NPR programs are not cheap. Consider what it costs for a local affiliate just to meet overhead; that’s lights, taxes, licenses, fees. Then, salaries and benefit packages, capital expenditures, lawyers. Then marketing and advertising, maintenance, insurance. And none of that includes the cost of the programs. I’ve heard pitchers on OPB say that flagship offerings like Morning Edition and All Things Considered can cost a million dollars or more each year. Then, there’s very popular programs like Science Friday, Here and Now and the relatively new TED Radio Hour. All of that has to be covered by whatever grants and endowments a station can scrounge. But the center tent pole for any station is fundraising. As a former federal employee, I’m well familiar with the phrase “Hi, I’m from the Government and I’m here to help”. Consider this piece from the Columbia School of Journalism in 2010 that looks how how much it costs to run NPR. It makes sense that affiliates who’ve got their own thing going don’t necessarily want HQ’s nose under their own tent flap. And it also doesn’t help that NPR has cycled through five presidents since 1994. No doubt, local folks look at the turmoil at a place that is supposed to be rock solid and wonder if their own management is a little more stable and locally focused. Mr. Mohn’s charm offensive had the overtones of a PR campaign. And although he said that if stations didn’t want the help, they didn’t have to take it, you could tell by the occasional edge in his voice that he had heard those concerns before. And now, good journalism or not, KOPB in general and Dave Miller in particular have Mr. Mohn’s attention, if for no other reason, because the station dared to give voice to the question that so many dedicated staffs around the country mutter to each other in hallways and breakrooms. And for folks who think HQs don’t ever seek recriminations against affiliates for personal slights, a review of Pacifica turmoil might give them more to consider. George Orwell said journalism is telling something somebody doesn’t want you to tell and everything else is public relations. OPB – Journalism Done Here. Good job … and buckle up. 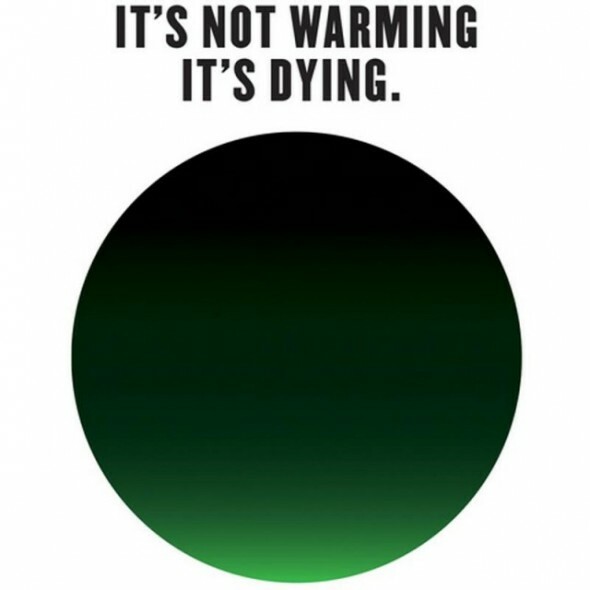 Jian Ghomeshi recently interviewed Milton Glaser, an ad man who has taken on the task of bringing the warming of the earth into public consciousness with a jarring image that implies the earth is dying. It shows the green of the earth being overtaken by black. During the course of the interview, Ghomeshi asks Glaser why he decided to take on this challenge. As a listener and an interviewer, I hear this question and I automatically assume both a reason for the question and anticipate an answer. The reason, namely, since Mr. Glaser is 85, might Ghomeshi be asking him if he is taking on the cause because he is of advanced years and wants to do something both big, and something that deeply affects his and all of our lives in an intimate way before the end of his own life? And the answer I assume is, yes, that is true because … and then Mr. Glaser would talk about the changes he’s seen, or how he himself was never sold on the idea of an earth that’s getting hotter but as he’s grown older, he gradually become aware of a truth he can’t ignore. Or maybe he’d say something like he’s at an age where he doesn’t really care about how people in general or people in advertising in particular might react to his methods. Perhaps I wrongly assume the question and the answer, but I still assume them. That’s pretty terrible, I know. The thing about interviews and interviewing is they don’t always line up. You hear a set of questions that seems to point to an answer like bowling pins to a strike. But then, you get something completely different and you’re thrown. But then again, maybe not. Maybe you are living in the moment and appreciate the answer because you weren’t thinking you were smarter that the person actually answering the question. Or maybe you had the thought but you pushed it out of your mind as ridiculously pretentious. When you talk to a lot of people, you hear a lot of answers. And when you’re coming up with questions, sometimes, you have a bias. There is a certain thing you want to hear and when you don’t hear it, as an interviewer, sometimes you ask the same question again because you’re thinking, “OK, I’m going to lay this out for you and please say what I’m expecting.” When it doesn’t happen, as an interviewer it can be frustrating because you might think the answer in your head is better than the answer in your guest’s head. But it’s not true. It never is. And it never will be.